The Condenser coil handles the heat rejection process of the unit’s cycle. 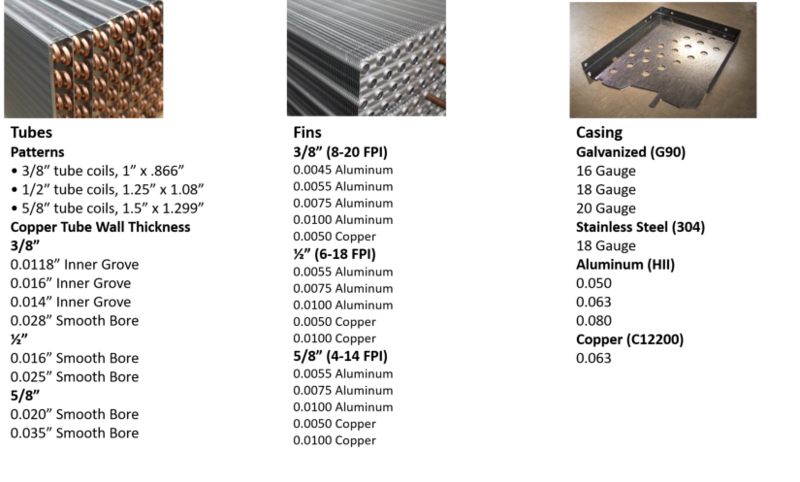 We manufacture condenser coils in 3/8”, ½”, and 5/8” tube sizes with multiple fin pattern and circuiting options. Specialty Coils provides custom designed condenser coils for new build applications as well as exact fit replacement condenser coils for all major OEM’s. With the use of our Coil Form Bender we are able to produce coils bent to the precise degree required. Each condenser coil is manufactured to exacting industry standards with a variety of material options and are specifically designed for the refrigerant required. Our condenser coils are manufactured to withstand the harsh outdoor environments they are subjected to. We also offer InfiniGARD protective coating which can lengthen the coils life span by protecting it from harsh and corrosive environments. Get started on a supplier relationship you will appreciate for a long time. Ask us for a quote today.